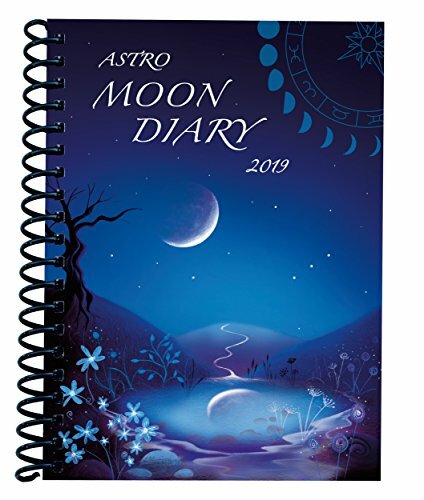 This beautifully designed, full colour, clear and concise Moon Diary is absolutely packed with all the lunar and astrological information for 2019. 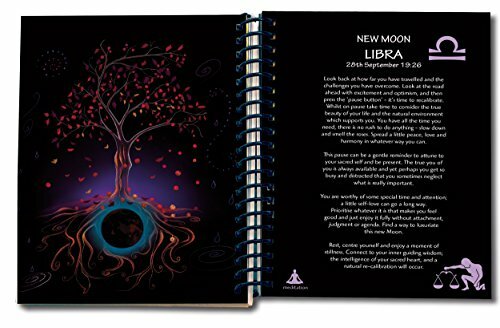 Suitable for those just interested in the Moon and her cycle as well as professional astrologers. 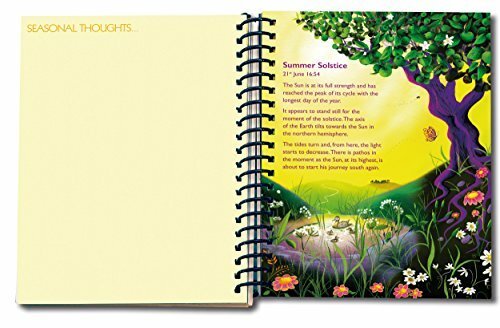 This diary celebrates the eight fire festivals throughout the year observing nature through the seasons. 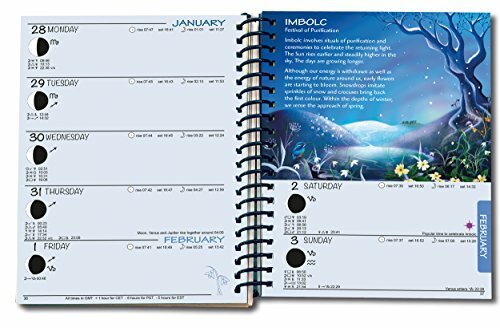 It's innovative astrological forecasts and wealth of astronomical information makes this diary perfect for anyone wanting to live in harmony with the rhythms and cycles of Nature. An educational and informative treasure trove. 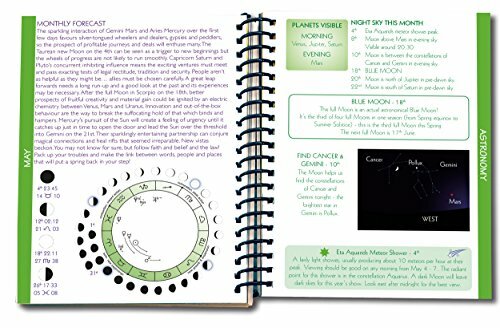 Our Moon Diary takes you on a journey through the seasons of the year whilst observing the cycles of the Sun, Moon and planets. 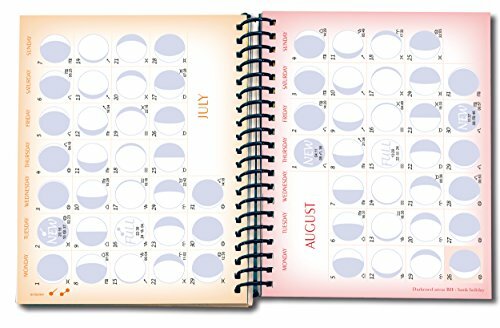 After last years experimental wrap around cover, we've decided to return to spiral binding. 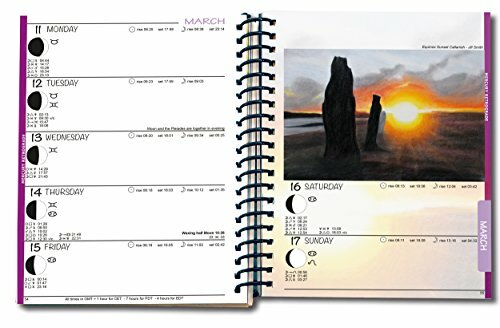 Sorry if you're someone who loved the new design but it was too complicated, costly and somewhat unpopular with some folk. 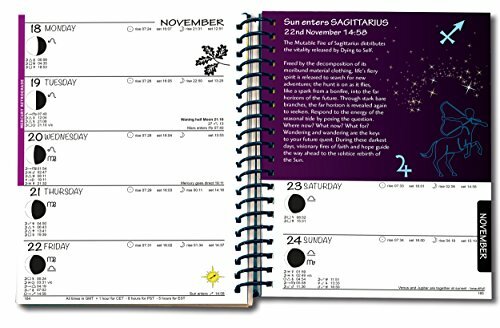 17.5cm x 13cm 7" x 5"
Astrology written by Tchenka Sunderland. 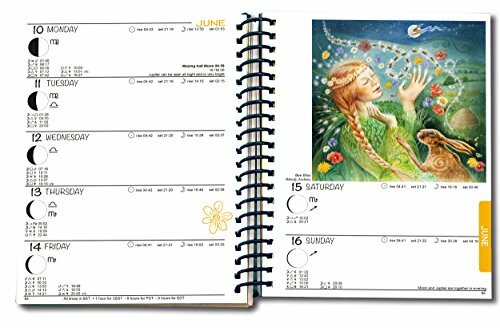 All of our calendars are printed in the UK using FSC paper and vegetable inks.